I have wanted to try making sourdough bread for a long time, and last week I’ve finally taken the plunge. I used simple instructions for sourdough starter that called for nothing but flour and water, and was a little skeptical at first, leaping with joy when I saw the first foamy bubbles – hurray! It’s working! I’ve captured myself some real wild yeast. A friend of mine, who makes delicious sourdough bread in the way of a little kitchen business, tells me that her secret to great-tasting bread is in the flour: she buys whole rye and spelt in bulk, soaks and sprouts the grains, then oven-dries the grains and only then grounds them into flour which she uses for bread-making. For practical reasons (my oven is tiny) I can’t do the same, but I still think I did pretty well for a first-timer. I’m excited about this venture into the world of traditional slow-rising breads. Disclaimer: this post focuses only on the section on infant feeding in “Nourishing Traditions”, which is just a small part of the book. As I approached the section on infant feeding in Nourishing Traditions, I was looking forward to a detailed survey of breastfeeding practices in traditional cultures, including perhaps a comprehensive list of foods which are thought to be beneficial for nursing mothers, plus detailed suggestions of milk-boosting diets, meals, beverages etc. I was disappointed. At the beginning of the chapter, the author says that the importance of breastfeeding your baby “cannot be overemphasized.” However, I felt that the rest of the chapter contradicts this statement by concentrating mostly on recipes for homemade baby formulas, and by providing some advice which is outright detrimental to successful breastfeeding. Are homemade “natural” formulas better than commercial formulas? Perhaps. Let’s even assume so. But no formula will ever come close to breastfeeding, either in nutritional content or otherwise. Mother’s milk is the food God designed for babies; cow’s milk is the food God designed for calves. It’s as simple as that. Cows’ or goats’ milk protein is unlike the protein in mother’s milk and is less well suited to human infants. Yes, it is possible for a baby to grow up just fine on formula, but on all points – nutritious, emotional and immunological benefits, protection from exogenous diseases, convenience and price – the score of breastfeeding is way higher. Therefore, as I see it, it’s definitely worthwhile to do everything possible to ensure that the baby is breastfed. – and according to wisdom of most traditional cultures. As a matter of fact, I find it astonishing that a book which takes such an obvious stance of learning from traditions of various people around the world blatantly ignores the fact that in traditional cultures, breastfeeding normally continues well beyond one year and certainly beyond six months! In the Jewish tradition, the standard length of breastfeeding is two years. The statement, “remember that babies should be chubby” (page 601) really grated on my nerves. Is there no room for diversity, no role for heredity to play in the baby’s body build? This expectation from two tall lean parents to produce a fat little butterball baby, makes mothers anxious about their milk supply when in fact they have plenty, and causes them to rush to supplement with formulas and artificially fatten up their babies. When I came to the final page, titled “Tips for Successful Breastfeeding”, I was dismayed to find much of the same counter-productive advice you often hear from doctors whose knowledge on breastfeeding comes close to zero. Yes, good nutrition and proper rest play an important role in maintaining adequate milk supply. But the author neglects to mention that the most important factor in boosting milk supply is nursing on demand, which usually means often. Again, where is the analysis of traditional practices such as attachment parenting, baby-wearing and co-sleeping, which all encourage frequent nursing? It isn’t that I think everyone should go the attachment parenting way. Parents are perfectly within their right to offer pacifiers and insist that the baby should sleep in their own room from day one. But if we’re talking about optimizing the chances of successful breastfeeding, people should make their choices with open eyes. How about this: “If you have any qualms or fears about not having enough milk, assemble the ingredients for homemade formula…” not “check if you really have cause for concern”; not “contact a lactation consultant and/or a La Leche League representative”, not “nurse more often.” Prepare to give formula!! According to the author, “having the supplies on hand can be enough to give you the peace of mind that allows your milk to keep flowing”. Well, you know what? This very strongly reminds me of the well-meaning doctors and nurses who tried to persuade us to keep a can of formula at home, “just in case”. Does having formula around help to keep the milk flowing? I’m sorry, but I’m not buying that. Supplementing may be necessary sometimes, but it is just about one of the most critical steps towards diminishing milk supply. And this: “Lack of adequate milk supply sometimes does occur, especially as baby grows and his appetite increases.” Yes, sometimes during a growth spurt it may seem as though the milk supply is inadequate. However, by nursing more often, eating well and resting, milk supply can usually be increased. Mother and baby are hormonally tuned in to one another. Infant suckling stimulates milk supply. Lack of adequate supply doesn’t just “occur” (it’s maddening that a serious author implies that a basic bodily function like lactation just stops or decreases out of the blue). It has reasons which can often be traced to things like abrupt night weaning, introduction of solids, spending time away from your baby, giving a pacifier, a new pregnancy, etc. I’m not saying that mothers who couldn’t breastfeed, for whatever reason, should feel guilty. But I do think that authors should feel guilty if their advice might have undermined breastfeeding for thousands of women. My final conclusion? Eat the apple and spit out the seeds. 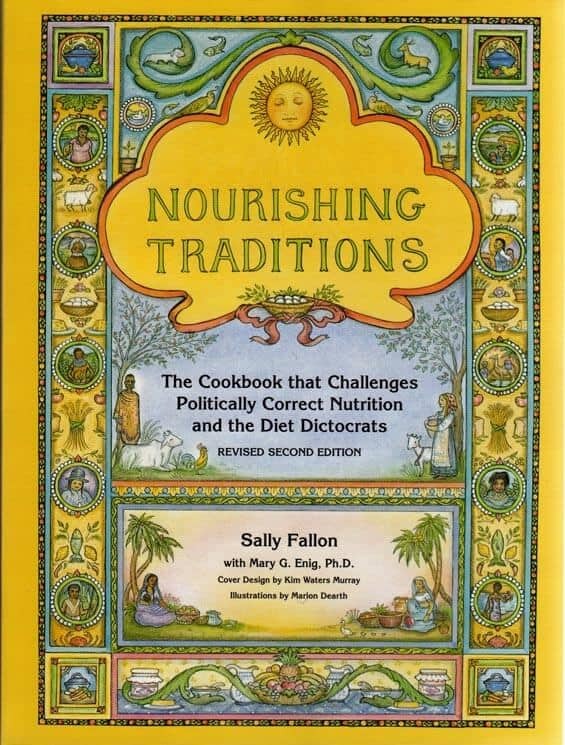 “Nourishing Traditions” is a fascinating book with lots of insightful material and valuable advice, and it is kept at a place of honor on my shelf and often referred to. However, on this matter of breastfeeding I quite plainly disagree with a lot of what the author has to say. Following my previous post on myrtle’s culinary uses, I have been experimenting with myrtle leaves and berries some more. I guess I’m just really tickled that there is a berry which grows well and prolifically in our area – and it’s free for picking! I have tried to search online for myrtle berry jam recipes but couldn’t find anything definite, except that on one site I’ve read the berries are used in mixed fruit jam, generally along with apple. I cooked up a small experimental batch with about 1:1 ratio of myrtle berries and apples, sweetened to taste. After cooking, I ran it all through a food processor and got a beautifully colored, unique-tasting jam which I’m sure will be great as yogurt or granola topping, on toast, or even as roll or pie filling (if I make a larger batch). The astringency of the berries is almost gone after cooking, and the only improvement suggestion I’d give myself for the future would be to strain the cooked berries and discard the seeds, which have a somewhat coarse texture and slightly bitter taste. Left: myrtle berries; right: apple and myrtle berry jam. “In the past we provided water for our flock of backyard chickens using all sorts of dishes, bowls, pans and buckets. These were stepped in, pooped in, upturned, and in general quickly resulted in a messy coop and thirsty chickens. The problem was exacerbated when we had to leave home for a couple of days – we could heap up the feed, but the water just wouldn’t last. Myrtle is very common in Israel and in the rest of the Mediterranean as well, its hardiness and evergreen freshness making it a perfect choice for decorative hedges. It also has a significance in the Jewish faith, being one of the four species used in celebrating Sukkot (Feast of the Tabernacles). It was only very recently, however, that we discovered that the myrtle berries – and leaves too – are actually edible. We are still experimenting with this, but in general the leaves may be added to soups and stews in a way similar to laurel leaves, imparting a subtle flavor and aroma (remove before eating), while the ripe berries can be likewise used in stews, sauces, meat, chicken, fish and even grain dishes. They have a fruity, slightly astringent flavor. Myrtle berries are quite ripe when they are dark purple to black in color, which happens around here as late as November-December. Places where myrtle hedges are used for decorative purposes are good locations for picking; I can’t imagine anyone would object. Myrtle would be a good choice for planting on one’s property as well. It’s a hardy shrub which always looks fresh and smells delightful. Besides flavoring various dishes, I have read that myrtle berries can be made into jam or steeped in alcohol to make a drink traditionally produced in Sardinia. We haven’t tried this yet but might experiment in the future. Myrtle also has some unique health properties, in particular for treatment of respiratory conditions and skin health. Here is a simple recipe for making myrtle oil at home. If I try this out, I will let you know. Being a writer myself, naturally I encourage my children to make up and record their own tales on paper. My daughters now each have their own notebook where they write down their stories – sometimes short one-shots, sometimes epic tales of many chapters and pages. They have been “pretend writing” even when they were very young, but now that they are actually creating legible, engaging stories, they enjoy reading them aloud to each other and to me, and also having their work read aloud by me to the entire family. This is so much fun. We’ve taken this to the next level when I started writing, inspired by my daughters, a children’s humorous fantasy book about a fairy who is determined to tame an unruly dragon. In between readings-aloud, we all sat together at the table, drawing the dragon, the fairies and the enchanted forest kingdom (please don’t ask me to post any of my drawings :-)). This was a lesson for me – used as I was to writing by myself and to myself, wrapped up in my own world, I now had to accommodate the wishes of an eager audience which wasn’t only constantly prodding me to get on and write down what becomes of the dragon, but didn’t hesitate to offer critique in the form of “this is stupid” or “change that whole chapter”. Of course, creative writing helps children learn so many helpful language skills: spelling, grammar, composition, vocabulary; and retelling the story helps exercise logic and memory. It is really one of the best secret tools a homeschooler can use, but it’s important not to ruin the child’s creative genius by unpicking every spelling or grammar mistake, or it might put them off writing altogether, or of showing their creations to others. One’s story or poem is a sensitive, visceral thing, and it’s better to leave a few misplaced commas in peace than discourage an enthusiastic young writer. Leave the corrections for specifically defined language exercises – and anyway, if a child reads and writes a lot, language skills and correct grammar and spelling will eventually be absorbed with very little help.